Matt Cutts has repeatedly said that quality content is key to Google rankings, and Bing’s Duane Forrester reminded marketers that “all SEO ranking signals revolve around content of some kind” at SMX Advanced 2011. High-quality, search-friendly content allows businesses to populate their sites with keywords and valuable information for visitors (and both are important to search success). 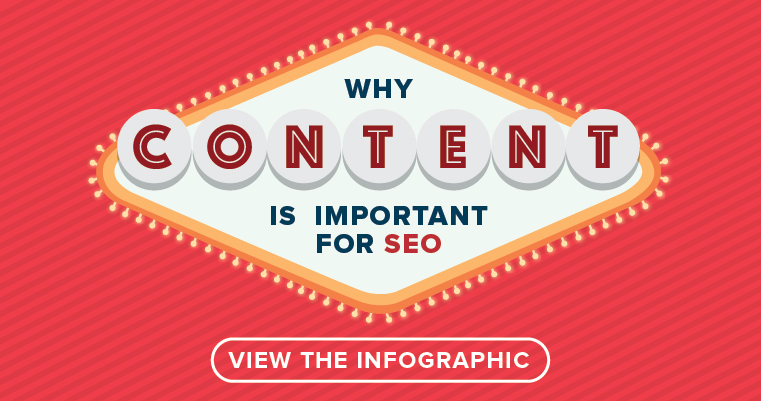 Brafton’s infographic, Why Content For SEO, explores how content is key to search engine visibility. You can click the image to see the full-sized infographic. For an in-depth look, check out our related blog post.